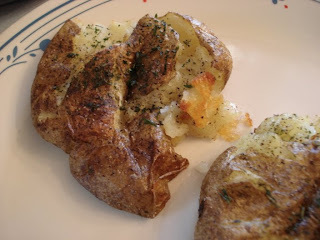 I poked them with a knife and microwaved them for about 15 mins or so, til they are nice and soft. Squarshed them on the cookie sheet that was drizzled with a lil vegetable oil (I cant afford olive oil lol) I used a basting brush to add a lil more oil to the tops, then salt pepper and some thyme. 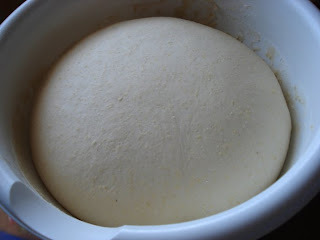 Combine first 6 ingredients in a large bowl; make a well in center of mixture. Combine pumpkin, butter, and eggs in another bowl and add to dry ingredients, stirring just until moistened. 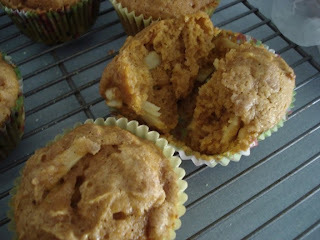 Fold in chopped apple and spoon into greased muffin pans, filling two-thirds full. 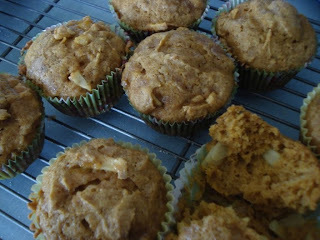 Combine 3 tablespoons sugar and 1 teaspoon pumpkin pie spice; sprinkle evenly over muffins. 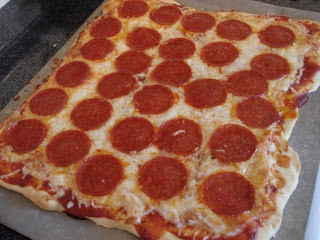 Bake at 350 degrees for 20 minutes. Remove from pans immediately, and cool on wire racks. Set aside seasoning packet from noodles. Cook noodles according to package directions. Meanwhile, in a large skillet or wok, stir-fry chicken in oil for 5-6 minutes or until no longer pink. 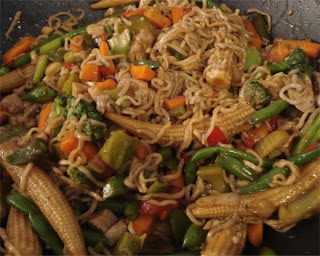 Add vegetables; stir-fry for 3-4 minutes or until crisp-tender. Drain noodles; add to the pan with contents of seasoning packet and the teriyaki sauce or Soy. Stir well. Serve immediately. 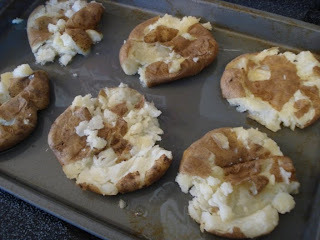 Place into the oven for another ten to fifteen minutes or until golden and bubbly.